Fabulous! Not since Pan’s Labyrinth has Mr. del Toro achieved as masterful a work as this, pushing the fantasy/scary creature genre more towards straight drama, yet keeping a profound sense of magic. There are great acting performances from a distinguished cast – Michael Shannon, Richard Jenkins, Octavia Spencer, Michael Stuhlbarg, and Doug Jones as the creature doing fantastic work behind concealing makeup – but none better than Sally Hawkins as Elisa, a mute cleaning woman who transcends her handicap with intelligence, compassion and humor. 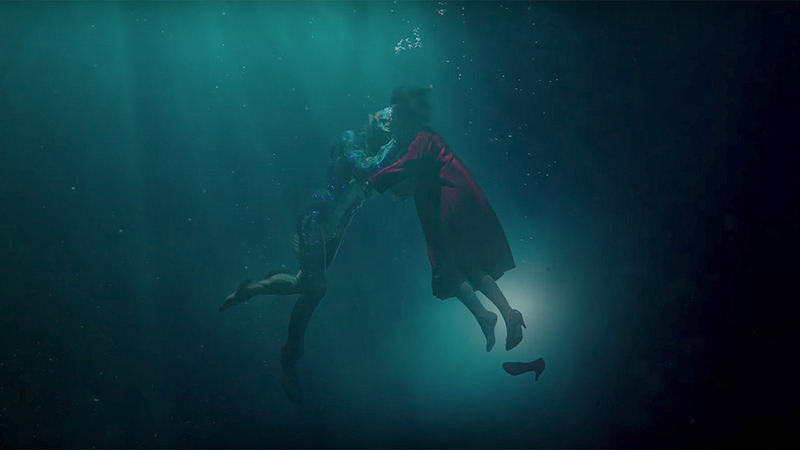 She is at the very center of this love story and it is through her that del Toro is able to say so much about our most profound emotion and the effect it can and sometimes does have in our world. Her performance of a role so void of spoken dialog allows us to see what great film acting can be through the nuances of facial expression and body movement. Elisa is a woman living a routine who has grown accustomed to listening as a means to navigate the world, and who has few people in her life with whom she can communicate. As she encounters and begins to engage with the Amphibian Man, she starts to unfold into a more full version of the person we first meet. Ms. Hawkins is radiant in the part, and nominations are sure to come. Set somewhere in the early 1960’s amidst civil rights turmoil and a the red scare, the period is gorgeously brought to life by every craft, realizing the look of a chipped reality which incorporates many of the architectural elements of the 1950’s in form and function. There is the military installation, with its linoleum floor, rusting iron gates and drab grey paint scheme which allows the few instances of color to pop out to great effect. The apartment where Elisa lives above the Orpheum movie theater, says so much about her life, and about cinema, as the theater can barely stay open. The pie shop diner with all its neon colors is still a dark place where those who are just being themselves find no harbor. Alexandre Desplat’s score is a beautiful interconnecting tissue to the brilliant use of key songs that not only accentuate the times, but reinforce the romantic center of the film. It soars and softens at just the right moments, and the daydream musical dance number stays completely in flow with the rest of the score. Del Toro utilizes many movie film clips, often seen playing on the television in Gile’s apartment or in the movie theater below, using cinematic history as commentary to the main story, connecting to the tone of romantic and historical films of the 40’s and 50’s. This deepens the film and makes it rise above monster movie and fairy tale conventions and the shallower comic book films del Toro has done before. The poem which closes the film beautifully gives voice to what we’ve witnessed, “Unable to perceive the shape of You, I find You all around me. Your presence fills my eyes with Your love, It humbles my heart, For You are everywhere.” This is a Must See which may end up being my favorite film this year. I spoke with Karen and Dave Robinson on the CineSoul podcast about finding the value in ‘otherness’ and seeing each other for who we really are. 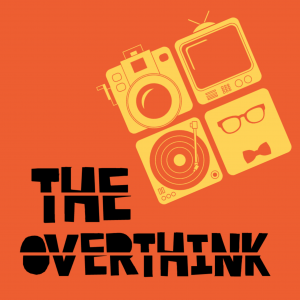 CineSoul is hosted by The Overthink Podcast Network which hosts a variety of podcasts diving deep into art, media and culture. This entry was posted in Cinema and tagged Cinema, CineSoul, Michael Shannon, Michael Stuhlbarg, Must See, Octavia Spencer, Oscar Nominee, Oscars 2018, Overthink, Podcast, Richard Jenkins, Sally Hawkins, Top 2017, Top Performance 2017.